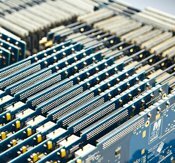 Spectrum has focused its business on the high-speed A/D, D/A and Digital I/O cards in different platforms like PCI, PCI-X, PCI Express, PXI and CompactPCI. Supporting both our old and new customers we make every product of the M2i and M3i families available in PCI as well as PCI Express! We understand that the important connecting link between the user and the hardware is always the software. That means providing quality operating system drivers and supporting the most popular 3rd party software. Spectrum has drivers for more than 50 different Linux distribution versions and also offers SBench6 - its own powerful and intuitive interactive measurement software. Spectrum is completely customer and service orientated and we have always given the customer's needs our highest priority. Good communication is essential and it allows us to find an optimized solution for you. We encourage communication between Spectrum and its customers either directly or through our network of dedicated regional partners. Spectrum is continually expanding its worldwide sales and support network and our priority this year is Asia. Being the engine room for global manufacturing and with some of the world's best research and development programs we are pleased to be adding more partners and more support. We have a new dedicated business manager who has over 30 years' experience in the region. Together with our business partners we are aiming to deliver outstanding local support and to make the Spectrum products available to a much wider audience. With all of the specialized departments concentrated under one roof, we can flexibly implement our customers’ wishes. We offer short delivery periods and technical adaptations to meet individual customer specifications. Our design engineers are constantly developing new or refined product lines. Because of more than 20 years of design and manufacturing experience we achieve high standards of quality. New developments are influenced by specific customer requirements, based on their needs, and with the best most cost effective technology. Testing, configuration and commissioning always occurs on our premises with permanent process optimization. The quality and reliability of the delivered products is one of our main concerns. Therefore we developed our own quality management system including multistage automated test procedures and detailed reports. Every single product that leaves our production is tested and checked for several hours including cross measuring of all relevant specifications found in the data sheet. These results are collected and analyzed to improve the product quality of each product family and to detect any critical tendencies at an early stage. A permanent review of the results insures high product quality. Outstanding service and efficiency without compromising on quality or reliability. Any requests, suggestions and comments are welcomed!